Just a little more than a week left until Valentine’s Day! 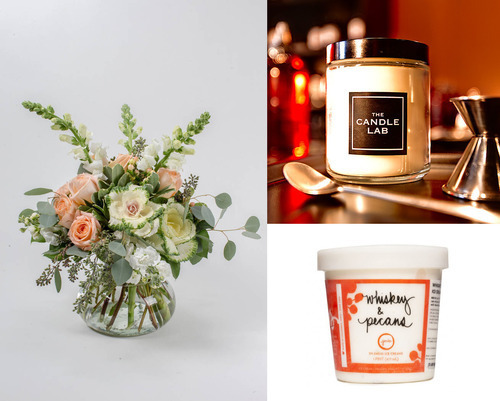 We’re rounding up flower arrangement and gift combinations from local businesses in this mini-blog series. With this guide, shopping local is almost too easy. 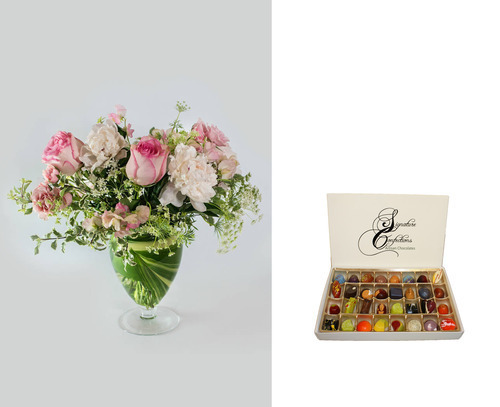 Today, check out the flower and gift combinations we love from Cleveland, OH; Columbus, OH; Dayton, OH; Chicago, IL; Detroit, MI; Leawood, KS; and Mitchell, SD. 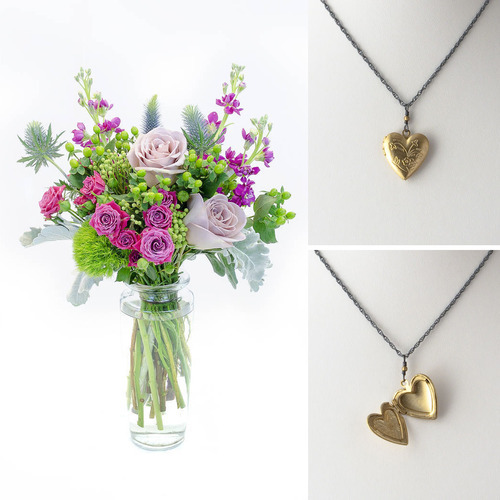 Keeping with a non-traditional Valentine’s Day theme, these arrangements go beyond red roses with creativity and innovation. Peach instead of red, the addition of complementary colors, and upgraded vases are fresh ideas that still send a message. Don’t forget to check out the other posts in this blog mini-series. 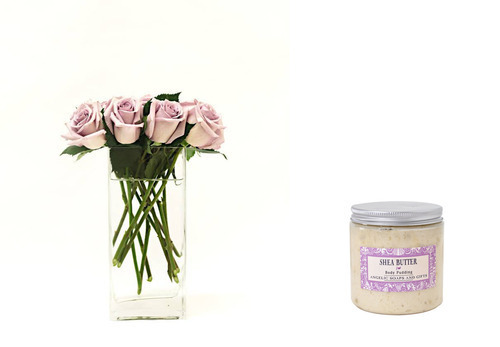 Our Northeast edition, West edition, and Southeast edition are here to guide you this VDay! 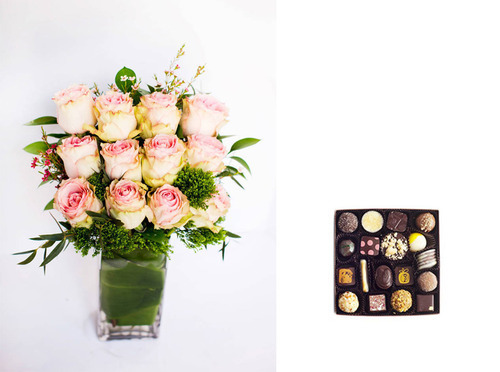 Can’t pick an arrangement? 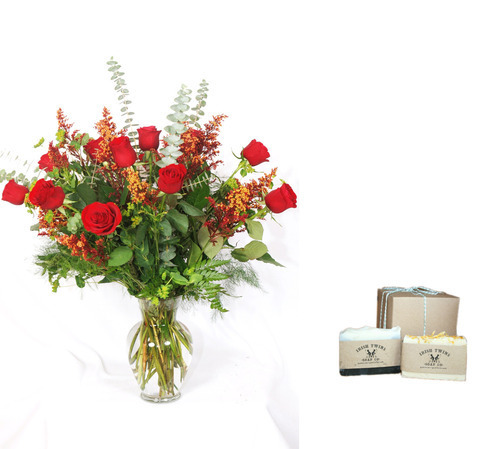 Make your life easy by sending Designer’s Choice flowers. All you have to do is select a price point and color. 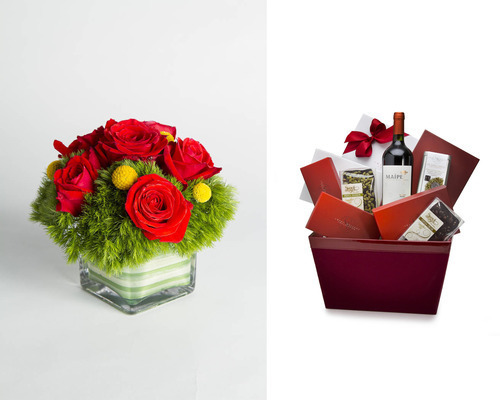 Our florist partners will take care of the rest! A Touch of Red by Urban Orchid in Cleveland, OH. $49. Chocolate and Wine Lover’s Basket by Sweet Designs Chocolatier. $150. Milan by The Paper Daisy Flower Boutique in Columbus, OH. $99. Bergamot Soy Candle by The Candle Lab. $15. Whiskey & Pecans Ice Cream by Jenis. Peony Rose Vase by Far Hills Florist in Dayton, OH. $99. 32 Piece Chocolate Assortment by Signature Confections. $48. Betty by Marguerite Gardens Flower Shop in Chicago, IL. $69. Patti Locket by Deana Rose Handmade Jewelry. $38. Lovely Lavender by Coden Flowers in Detroit, MI. $69. Lavender Body Pudding by Angelic Soaps and Gifts. $18. Ravishing Dozen in Blush by Flowers by Emily in Leawood, KS. $99. 18 Piece Build A Box by Cocoa Dolce Artisan Chocolates. $38. Mitchell, SD | Craig Ryans + irish Twins Soap Co.
Classic Romance by Craig Ryans in Mitchell, SD. $69. Specialty Rustic Handmade Soaps Gift Pack by Irish Twins Soap Co. $8.25.